Fiona Bruce traces the story of one of history’s great royal love affairs: the love between Queen Victoria and Prince Albert. It was a love based on a powerful physical attraction, and grew into a marriage that set the tone for the Victorian age. Over the twenty years they spent together, until Albert’s tragic death, they gave each other a dazzling collection of paintings, sculptures and jewellery. That collection will be on show – much of it for the first time – at a major exhibition in London, and shows a new and passionate side of the royal couple. 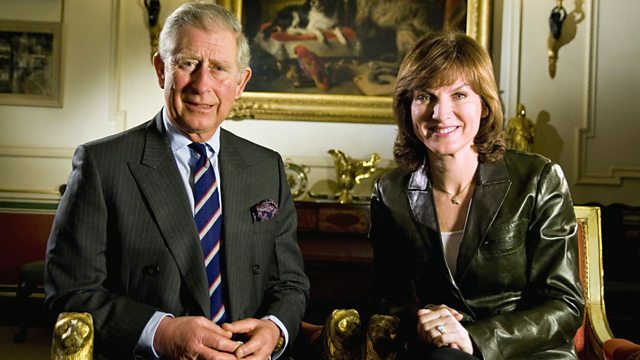 Fiona meets HRH Prince Charles, and travels to the royal palaces that Victoria and Albert made their own, as well as the royal workshops where artworks for the exhibition are being restored, to tell the story behind a collection that is one of the wonders of the nation.